Opening new directions in research in both discrete event dynamic systems as well as in stochastic control, this volume focuses on a wide class of control and of optimization problems over sequences of integer numbers. This is a counterpart of convex optimization in the setting of discrete optimization. 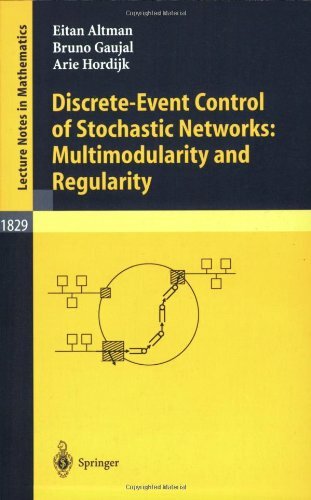 The theory developed is applied to the control of stochastic discrete-event dynamic systems. The book gives the major results, techniques of analysis and new directions in adaptive systems. It presents deterministic theory of identification and adaptive control. The focus is on linear, continuous time, single-input single output systems. An introduction to the basic principles and tools for the design and analysis of feedback systems. It is intended for scientists and engineers who are interested in utilizing feedback in physical, biological, information and social systems. An introduction to the field of intelligent control with a broad treatment of topics by several authors (including hierarchical / distributed intelligent control, fuzzy control, expert control, neural networks, planning systems, and applications). The book presents a theory of feedback control systems. It captures the essential issues, can be applied to a wide range of practical problems, and is as simple as possible. Addressed to students who have had a course in signals and systems.